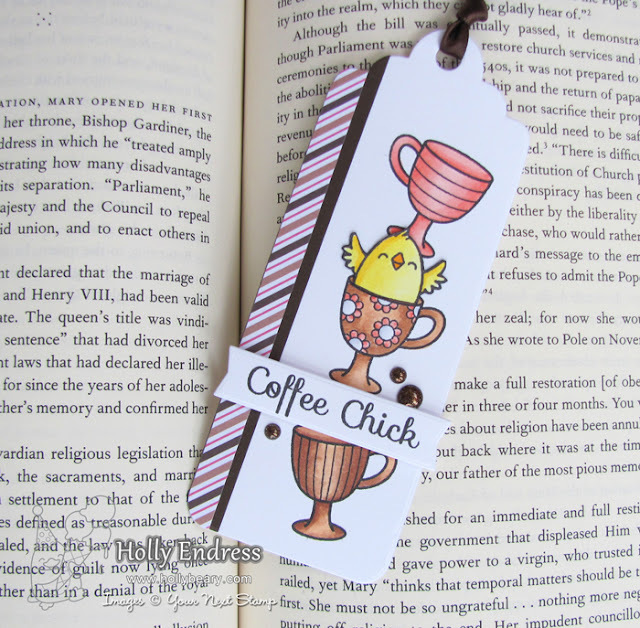 Hollybeary Creations : Coffee Chick!! Its time for our Monthly Design Team Dare at Your Next Stamp and this month the team was challenged to create a project based on a "Book". 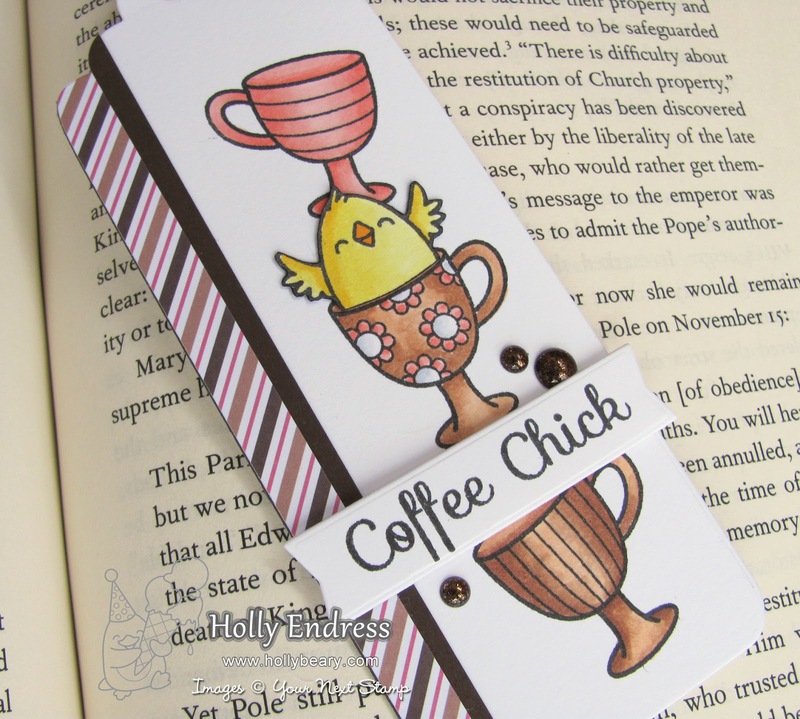 I created a bookmark using the new Coffee Chick set. I die cut a tag from the Bookmarks Tag Die Large set and stamped the images onto the set with some Black Olive Ink. Then I colored them in with Copics. I stamped the chick image on a separate piece of paper and fussy cut her out and then added her to the cup. I trimmed out a piece of the Crazy For Coffee paper and a piece of Espresso card stock and added a border along the edge of the tag. Then I stamped the sentiment onto some additional White card stock and trimmed it into a banner shape and added it with some foam tape. I wanted a little shimmer so I added some of the new Enchanted Forest gumdrops in the Brown color. Head over to the YNS Blog for more "Book" inspiration and be sure to leave a comment by April 7th for a chance to Win a set of your choice!